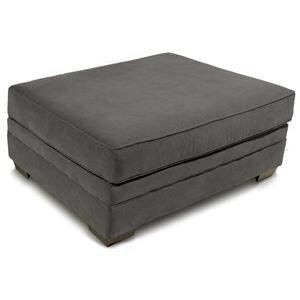 This leather ottoman provides the perfect accent for your living room, entertainment space or other sitting area. 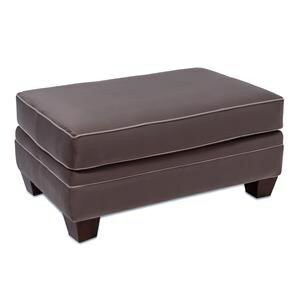 This ottoman is finished with turned, mahogany legs, with nailhead trim detailing, bringing classic elegance to any room you choose to place it in. 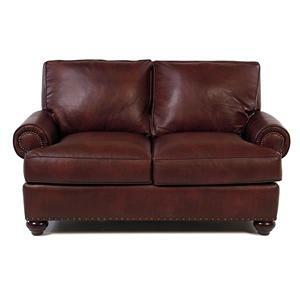 Add the matching leather chair to complete the look! Shown in an Oxblood leather, with other cover choices available be special order. 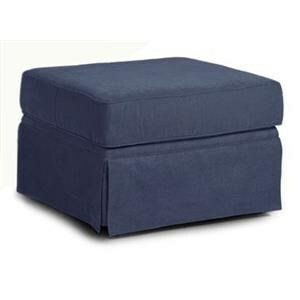 The Ellington Leather Ottoman w/ Nailhead Trim at Rotmans in the Worcester, Boston, MA, Providence, RI, and New England area. Product availability may vary. Contact us for the most current availability on this product. Leg or Skirt Turned, mahogany legs. Regal elegance is achieved by this leather collection. 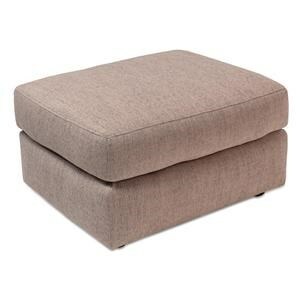 A three over three, bordered cushion design wrapped in welted detail pairs with rolled, welted, pleated arms that have panels designed with nail head trim. The nail head trim continues to bejewel the front border as well. 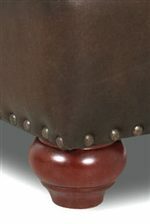 Turned, wood legs & fine leather make these estate looking pieces. Customize this collection to your own personal taste by choosing from over 300 leather options to match your unique desire and decor. 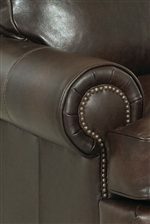 The Ellington collection is a great option if you are looking for furniture in the Worcester, Boston, MA, Providence, RI, and New England area. Browse other items in the Ellington collection from Rotmans in the Worcester, Boston, MA, Providence, RI, and New England area.